This is a time of great sadness at the death of our beloved Guruji. 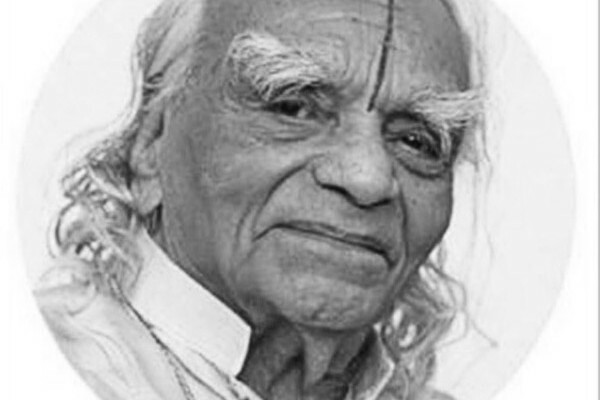 His guidance has inspired our practice of yoga and enriched our lives immeasurably. As we mourn his passing, it is also a time for reflection and gratitude for the many gifts he has given us. Without consideration of caste, class, creed, religion or region, … it is said that the only royal path is yoga. This alone is the path that purifies the seeker of truth and no other. With my deep love and affection toward you all, my heart is throbbing with a sense of gratitude; words fail me and I find it extremely difficult to send a message to you all, my yogic children to whom I am bound. A message conveys that I am parting with you, but actually I am also close and attached. … Even those who learned and later parted from me are close to my heart because they carry the same message of yoga – the unity in diversity. Please know that we are all brought together by the invisible hands of God to jointly work towards integrating yoga further and further. This yoga – art, science and the self-culture of man braided together – has bound us forever and this affectionate bond and feeling that belongs to the heart, not the head, is not capable of being conveyed. These are feelings which have made us all live in contentment and emanate the rays of love and delight.